I don’t read a lot of manga. I’ve tried a few in the past and they didn’t appeal to me, artistically, plus I had a hard time following the plots. So I’m not sure why, on my first trip to my new local library, I decided to check out two full manga series. The Tarot Cafe was one of them. 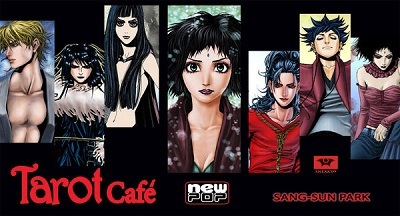 The Tarot Cafe is a Korean manga about an immortal woman who reads tarot for special (ie magical in some way) customers. 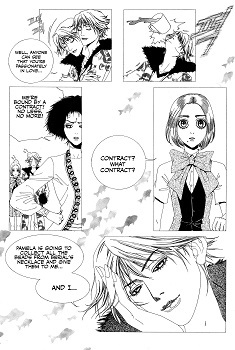 Pamela helps everyone from a wish-cat to vampire to a singer who sells his soul for fame. At the same time, she slowly unravels truths from her past that she’s been forced to forget, and comes head to head with a centuries-old enemy. The series is seven books long, and I read them all as a single book entry (for counting purposes) from August 12th through 19th. I enjoyed the series, especially the first and last books. A few of the middle ones got kind of muddled for me, particularly when the series switched from episodes recounting the tales of those Pamela helps to the intricacies of Pamela’s history. 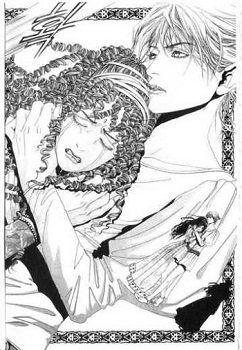 As usual for manga, some of the artwork and mixed storylines confused me. For the most part, though, I enjoyed the series, and I really like the way it ended. With all the stress of moving, this made a perfect light read! The art was beautiful, too. This entry was posted in 2014, Visual, Young Adult and tagged POC, speculative, tarot, translation. Bookmark the permalink. this looks interesting I’ll look it up. (found you v perusing the blogosphere) cheers!